I’ve always loved the idea of paying it forward and that is exactly what the founders of the Resurf Project are doing. Their mission is to collect old surfboards, repair them, and give them out to kids in need along with surf lessons. As surfers, we cherish the values, skills, and inherent need to help others that surfing has taught us and we often find ourselves wanting to share our stoke with others. 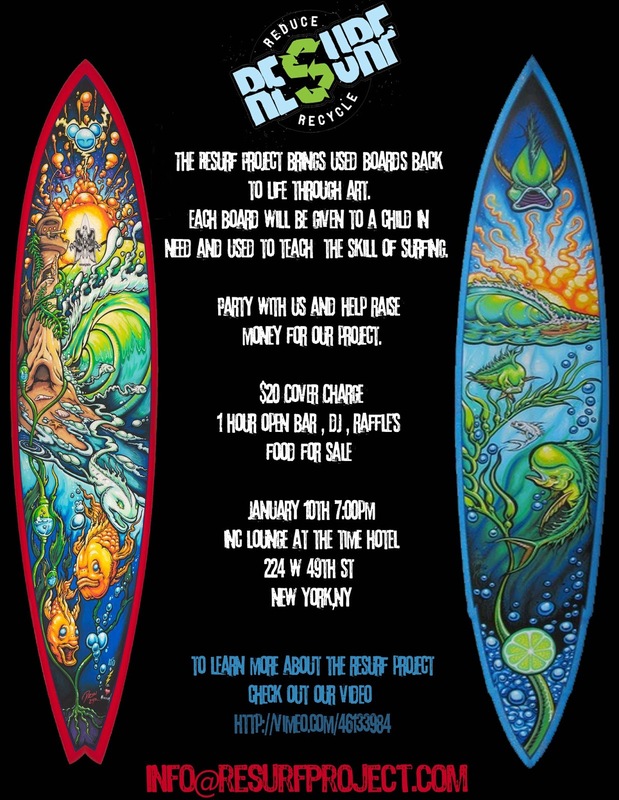 So if you’re in the city on January 10th, please make it out to the Resurf Projects fundraiser at The Time Hotel – 224 W 49th Street. Party starts at 7:00PM. See you there!